Boredom is a universal human emotion. Sometimes, you’re just going to be bored. In fact, your brain needs to be bored occasionally. It’s not a mistake that oftentimes people’s best ideas come to them in the shower, in line at the grocery store, or wherever else there’s some free time in the day. Unfortunately, we’ve gotten incredibly good at avoiding boredom. We find it intolerable and choose to constantly fill the “boring” gaps in our lives with scrolling on our phones, watching TV, and even overdrinking. At the root of this behavior are two related forces: the search for dopamine and the desire to avoid examining our own thoughts and feelings too closely. Join me on this episode as I discuss boredom, what’s “wrong” with it, and what it has to offer us. Boredom provides a window into our minds, which is precisely why it’s so beneficial yet so terrifying. I’ll ask you to examine why you think it’s such a problem to be bored and whether you like to be alone with your own mind. And I’ll also share some of the benefits of boredom that come along once you get through the initial discomfort of being left alone with your own thoughts. Why boredom is a necessary, universal human experience. How alcohol acts as a supercharged hit of dopamine for your brain. How our modern, reward-saturated environment affects our tolerance for boredom. What you can do to practice being bored and learn what boredom has to offer. Why it’s so scary for many of us to be left alone with our own bored brains. How to use boredom as a source for creativity, ideas, and growth. 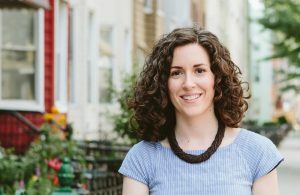 You are listening to the Take A Break podcast with Rachel Hart, episode 113. Welcome, welcome, welcome everybody. I am so excited to talk to you today about boredom if you’re listening to this podcast because you don’t want to be bored, but this is going to be the perfect topic for you. I’m going to tell you, you have to change your relationship with boredom if you want to change the habit of drinking. Pure and simple. So that’s what we’re going to be talking about on today’s episode. What is boredom, why is it a problem, what’s the upside of being bored, because surprise, there is an upside, which most people have no idea about, and how can you prevent boredom from being a problem and standing in the way of success when it comes to changing the habit of drinking. So let’s just start out with what is boredom. I’m going to tell you this; it is a normal human emotion. You are supposed to be bored sometimes. You might not want to hear it, but it is so true. We are meant to have the full spectrum of positive and negative emotions, that’s how humans were designed. And guess what, boredom is one of those emotion. I always talk about how you need the positive and the negative, the light and the dark. You need the contrast in order to experience the emotions that you want to experience. On the other side of boredom is interest and engagement. So if you didn’t have boredom as something that you understood what it was and you understood how it felt, you wouldn’t be able to experience interest and engagement because that would just be your norm all of the time. There would be no contrasting emotion. So your question may be well okay, but can’t I just be interested and engaged with everything? And the answer is no. I’m going to get to that a little bit later. I was looking up boredom in the dictionary when I was preparing for this episode and the dictionary told me that boredom is the state of being weary and restless through a lack of interest. And I thought, yeah okay, that sounds about right. And I was doing a little more research and then I came across this definition, which I love, and I think really captures it so much more profoundly. Boredom is the search for neural stimulation, and when you don’t find that stimulation, you label how you feel as boredom. I love that. The search for neural stimulation. I came across someone else who referenced a quote by Tolstoy and he said, “Boredom is just the desire for desires.” Such a good way to think about it. But consider the quest for neural stimulation. 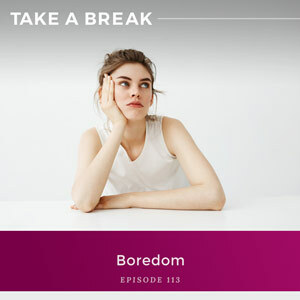 It’s such an amazing way to really frame boredom because of how much we talk about on this podcast how your brain is always searching out a reward. And for many of you right now, the reward that it wants most is the reward of alcohol. But that’s not the only reward in your environment. When your brain encounters something new, something novel, it gets a little bit of dopamine. And now here’s the thing; in today’s world, in our modern world, we live in a reward-saturated environment. So we have this human brain that evolved to find rewards in the environment. That helped humans learn how to survive. Thousands of years ago when humans needed to figure out, they needed to learn, how do I seek our beneficial things in my environment and avoid harmful things, how do I learn how to do this, the brain used dopamine. It had this built-in reward system. So when you encountered something beneficial, you got a little bit of dopamine. You got that chemical messenger that creates the feeling of pleasure. So the brain learned to prioritize things in the environment that produce a reward. Now, humans learned how to game this built-in reward system and we learned how to game it when our ancestors figured out how to harness fermentation. So, fermentation was something that naturally happens in the world. Humans didn’t figure out how to ferment things. They figured out how to harness the process on a larger scale. So what they did, they took the little reward, the little bit of dopamine that you get from eating a grape because that grape helps with survival, that little bit of sugar, it’s like a little packet of energy, they took that reward and humans used the process of fermentation to supercharge the reward by fermenting grapes into wine. And wine provides a much bigger, a much more concentrated reward of dopamine for your brain than a grape does. Just compare the pleasure that you get from eating a bunch of grapes with the pleasure you get from drinking wine. Night and day. Totally different. So that’s how we evolved. Our brain really learned to prioritize rewards, but now here we are in our modern world and rewards are available everywhere. We are in a reward-saturated environment. It takes very little energy to go out and get a lot of dopamine. I’ve talked about this before on the podcast. It’s everything from the food that we eat, so food is now highly processed, it’s very sugary, it’s in larger portions, all of that to give our brain more dopamine. It’s in the on demand and limitless entertainment. I mean, just think about how much entertainment has changed over the course of your life. When I grew up – I was born in the 80s – when I grew up, we had a knob on the TV to change channels. So if someone wanted to watch a different channel on the TV, it was a negotiation in my family about who was going to get up from the couch or from the floor and change the channel. And there were only a handful of them. Now think about it. Now you turn on your TV and not only are there hundreds of channels, but you have Netflix and Amazon and Hulu and all of this on demand entertainment that you could just watch endlessly. We have one-click shopping. We don’t have to go out of our house, we don’t have to walk to a store. We just sit and look at a screen and click one button. You don’t even have to enter your information. Just click that one button on Amazon and then it arrives to your door. All of these screens we have in our pocket and the screens all around us, we’re never forced to just wait in line and do nothing. We always have stimulation right at our fingertips. We always have the ability to reward our brain with entertainment and something new and something novel and getting a like on social media. So we’re in this modern world where rewards are plentiful and available everywhere, and of course the same is true of alcohol. Think about how plentiful and easy to access it is. I live in San Francisco. There are apps that you can download on your phone and people will deliver alcohol to your house. You don’t even have to leave. You don’t even have to walk outside to get it. And of course, alcohol has been supersized along with our food. So that’s the world that we’re living in. Now boredom, remember, it’s that feeling that you have when there’s an absence of neural stimulation. So you’re doing nothing. Maybe you’re waiting in line, or maybe you’re doing something that doesn’t particularly interest you. I think about this a lot with the kind of boredom of being a parent. I’ve talked about I have a son, he’s seven months old. Initially when I started breastfeeding him, it was tremendously, tremendously painful. But about three and a half months in, we figured it out and it stopped being painful. It started being kind of easy. And it’s so funny to watch myself now. I’m like, am I just supposed to sit here while he’s nursing? Give me a phone. I don’t want to pay attention to this. I want to scroll through something. I want to see what’s happening in the news. So fascinating for me to just watch my own brain searching for neural stimulation. So what does it mean when you are living in an environment where entertainment is available everywhere? Rewards are available everywhere. Here’s the problem; the more stimulation that you are able to get, the more stimulation that your brain seeks out. The more you get those little bits of dopamine, the more you want the dopamine. So your brain wants things to be constantly novel, constantly entertaining. So what are we all doing? We are texting and scrolling and swiping and tapping our boredom away, but the more that we do that, the more that we have the ability to text and scroll and swipe and tap the boredom away, the more that we are unable to cope with how we feel without high levels of stimulation and entertainment. So the more entertained that you are, the faster you become bored and the more intolerable it feels not to have neural stimulation. So you are constantly wanting things to be new and novel and interesting and entertaining. We become addicted to stimulation. Do you see how this connects with drinking? When you pour yourself a drink to avoid feeling bored, guess what happens. The more that you have that glass of wine to avoid the feeling of boredom, the more intolerable not having stimulation becomes for your brain. So you start to believe that not having stimulation is the problem, but the real problem is that you lost your ability to cope without constant high levels of entertainment. Constant reward. And this is what I hear from my clients. “Okay well I’m not drinking in the evening but now what am I supposed to do, Rachel? I’m bored. This is terrible.” And you really do have two choices. You can go back to using a drink to entertain you, which is just going to create more desire. The more you drink, the more your brain will want it and the more negative results that you will get, by the way. Or a lot of people will say to me, “I just can’t sit still. I need to always be doing something.” Many people don’t even want to admit to being bored because if I admit to being bored, what does that mean about me? All of a sudden, we have this belief that being bored is a negative reflection of who we are. Not a normal human emotion. No, no, no, we think it’s a sign that something is wrong with us. Am I a boring person? Am I not interesting enough? Is that why I feel bored? Do I have a boring life? Am I not busy enough or important enough? Is that why I feel bored? We’re so freaked out at the thought of being bored. Instead of just really spending the time to think, what if it just means that you’re human? What if you are a human being and human beings sometimes feel boredom? If you can separate out all the stigma and all the judgment from the emotion, you can start to actually look and ask yourself, hey, why is it such a problem for me not to be entertained right now? And I want to tell you what I think the problem is. Why people are so hell-bent on avoiding boredom. We so want to suppress this emotion. Not only because we believe it reflects negatively on who we are and the life that we’re leading, and not only because the brain has a desire for things that are new and novel and what happens when we don’t answer that desire is we feel restless. That brain of ours wants a reward. So those are two of the problems, but I think the real problem with being bored is that it is a gateway to your mind. It’s a gateway to your thinking. Boredom is the gateway to your thinking and a lot of times, what you are thinking is not a whole lot of fun to look at. Without the neural stimulation, without the constant reward of dopamine, you have to look at your mind. You have to look at your thoughts, and a lot of your thoughts are really crappy. Your thoughts create your feelings and so it’s no surprise when you start really tuning into what you’re thinking, it means that you’re also tuning into the emotions that you feel, and I hear things like regret, disillusionment, shame, embarrassment. This is what was true for me. When I really tuned into what was going on, it wasn’t a very pretty picture to look at. Listen, you can tell a lot about the quality of your thoughts just by asking yourself, do I like to hang out with my brain? Do I like to be alone with just me and my mind? Me and my thoughts? Or am I always rushing to cover it up? If you are, there is a reason why. But listen, as uncomfortable as that may seem for a lot of you to have to tune into all this negative thinking, here is what I can promise you; you cannot change what you can’t see. If you refuse to look at those thoughts, if you refuse to take a look at your mind, you will never be able to change it. This is the challenge of the work that I do. I really have to sell people on the idea that hey, when you want to change your drinking or really any habit for that matter, any habit that you’re using to numb how you feel, you’re going to feel a little worse before you feel better. But here’s the thing; then you’re going to feel a lot better. If you have been spending years avoiding boredom, seeking out rewards, always wanting to be stimulated, always wanting to be entertained, always looking for that next little bit of dopamine, running from your thoughts, if you have been numbing yourself with alcohol or food or working or just constantly being busy, never allowing yourself to sit still, when you work on trying to change the habit, when you stop numbing yourself and tune into your brain, it’s going to feel a little worse at first because you’re going to come face to face with all the thoughts that you have been running from. But listen, this is how you start to feel better. You cannot fix what is broken if you can’t see it. You cannot change what you can’t see. What do we do? We want to feel better by thinking that oh, I just have to acquire things. I have to acquire stuff. I have to get the job or the money or the body or the house or the partner or the degree. But here’s the thing, my friends; it does not work that way. All of those things are just circumstances and circumstances do not create your feelings. Your thoughts do. And whether you are conscious of it or not, your thoughts are always creating how you feel and then how you act. Just because you aren’t conscious of your thinking doesn’t mean that those thoughts aren’t there. They’re just running in the background. I think about it like the operating platform that makes your computer run. Just because you aren’t staring at the code doesn’t mean the code isn’t there, doesn’t mean the code isn’t running the show. If you want to change it, you have got to look under the hood. And listen, this is the moment where for so many people, when they come face to face with what they have actually been numbing, which is always just the negative thoughts that they have about themselves and their life and their future and their past, this is the moment when people want to crawl back into the cave. So they take a break from drinking and they get really freaked out by what they see, and they just run back into the cave and they resume the habit. And let me tell you, I did that so many times myself. But here’s what I want you to know; discomfort is the path. You have got to be able to move towards discomfort so that you can start liking what you see, so that you can start having better thoughts about yourself and your future and your past and who you are. Because here’s what I know to be true; discomfort is a given and you can either feel the discomfort of where you are right now, which is stagnating in life, maybe all the negative results that you’re getting from drinking, repeating the same habit over and over. You can either feel that discomfort or you can feel the discomfort of growing and changing and evolving and creating. But here’s what I will promise; boredom really is the path to feeling better. Not only that, not only because it’s a window into your mind, it’s a window into all those think-feel-act cycles that are causing pain for you, but boredom, it’s the path to creativity. Listen, think about it. When you let your mind wander, when you daydream, when you just allow your brain to think, that is when people come up with the insights and the ideas and the epiphanies. Think about how many times people say, “I don’t know, it just came to me in the shower, or I was waiting in line or sitting at a stoplight or staring out the window. That’s when I had the amazing idea.” And so many of us mistakenly believe that those moments are a waste of time. I’m just wasting my time in the shower or in line doing nothing or sitting at the stoplight. But it’s not a waste of time. It’s a moment that your brain has a chance to put the puzzle pieces together, to create the idea and the insight. And if you are always feeding your brain novelty and entertainment and seeking out dopamine, guess what. You don’t have any white space to put the puzzle pieces together. This is where you can end up. This is where I ended up. My brain was so good at just always being kept busy. I was busy smoking and drinking and eating and working and just being productive all the time. And when I wasn’t busy doing all these things and seeking out all the dopamine, then I had to sit with all my negative thoughts about how much I didn’t like myself and how much I was screwing up and I was a failure. And I just wanted to hide from all those thoughts. When I stopped the behavior that wasn’t serving me, when I stopped using alcohol and food and smoking and overworking to numb how I was feeling, I had to look at what was there. I had to look at all the hate, all the negativity, and then and only then was I able to start to question and challenge and change the thoughts that weren’t serving me and practice something new. In the absence of stimulation, it doesn’t immediately go to the negative. Now listen, don’t think that that means I never have a negative thought about myself, but it’s no longer the dominant narrative. And that is really where the upside of boredom comes in. In the absence of stimulation, that is where you have the space for discovery and insight, new ideas, problem solving, creativity. But what so many of us are doing is we are drinking and swiping and scrolling and eating and busying all of this away. I’m honestly amazed now at how many ideas my brain has for art projects. Now that I’m no longer spending a lot of time cleaning up from the night before or feeling bad about what I ate or being hungover, now that I’m not having this brain that’s filled with all this negative chatter, I’ve created all this space for idea and discovery. And that’s what I want you to think about. If you right now are feeling unfulfilled by life, what I want you to consider is that you’re not creating a fulfilling life because your brain doesn’t have the space to create it. Because not only are you seeking out reward and novelty and stimulation all the time, but your brain is filled to the brim with all this judgment and negative thinking. You stop boredom from being a problem by redefining your relationship with boredom. You practice being bored, and I know some of you are like, “Oh my god, seriously? I have to practice this?” But really, that is the path. Boredom is a normal human emotion. We’ve just gotten really, really, very good at learning how to avoid it. But the more we avoid it, the more intolerable it becomes and the more easily we become bored in the first place because we are so used to having that stimulation all the time. Honestly, I want you to think about what it would be like to forgo constant stimulation. If you are waiting in line and you weren’t scrolling through your phone, if every time you were driving in the car you weren’t always listening to a podcast. If you didn’t sit down in front of a screen as soon as you got home, or any moment that you had time to yourself. And if you weren’t filling your glass as soon as you got to a party, you would have no choice but to look at your thoughts and to look at your mind and that’s a good thing. Boredom is interesting. Boredom is the place where we can watch our mind at work. Boredom is something that you can be fascinated about and curious about. You don’t have to believe everything that your brain says. You don’t have to cure boredom. You can just allow it, and the more you allow it, the more tolerable it becomes. The more your brain learns that it doesn’t have to always be stimulated. And not only that, but more access you have to all of the good stuff, all of the creativity and the problem solving and insight and ideas. I want you to really think about this. Are you willing to go be bored? Are you willing to actually cultivate it? Put down your phone, stop the constant stimulation. This more than anything will so help you change the habit of drinking. It really seems like what does my phone, what does keeping my mind occupied all the time have to do with this habit, but they are both at their root, at their core about constantly finding reward. I really want you to think about reframing boredom in your life. It is everything. Alright, that’s it for today. See you guys next week.